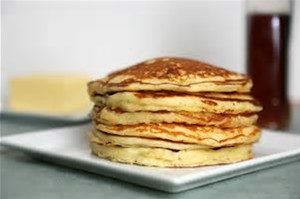 Gluten Free Pancake Recipe that tastes great and easy to make. Use Almond or Coconut flour for low carb option. Kids and family will love it! Incorporate milk and lemon juice and allow to sit for 5 minutes until curds form. In a large mixing bowl, beat apple butter, oil, egg, and milk mixture. Add dry mixture and stir gently. Be careful not to over mix. Pour or scoop the batter onto the griddle, using approximately 1/4 cup for each.